Rosenthal Architectural Services are a team of Hampshire Based Architectural Service specialists with UK national experience specialising in producing plans for extensions, loft conversions, garage conversions and new builds. Rosenthal Architectural Services offer a complete managed service to get you to the build stage including consulting with the local council and applying for planning permission on your behalf. A surveyor will visit you in the comfort of your home for a free initial design consultation to discuss ideas and the feasibility of your scheme. Planning permission is not always needed and the vast majority of homes have permitted development rights. 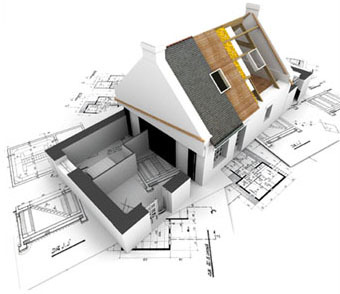 We can investigate and advise upon the permitted development rights of your home during our visit. There may be further information required and in some cases we may need to consult with your local authority or submit a pre-application report to ascertain your schemes feasibility and likelihood of approval. If you decide to proceed, your surveyor will conduct a measured survey of the property and produce a proposed design scheme, usually within 48 – 72 hours. Once the design is approved, detailed plans are drawn up for you to approve, usually within 7 working days. Your approved plans are then submitted to your local planning department. Planning approval can take up to 8 weeks from validation by the council. Are produced and submitted to Building Control Once planning has been approved, the building regulations drawings and specification can be produced for submission to your local Building Control department. This also includes any structural elements for which structural calculations may be required.